What’s the difference and why should you try them? 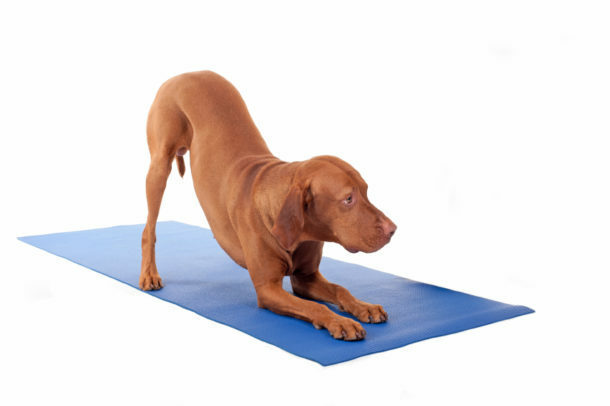 Yoga fads come and go every few years (beer yoga, doga, goat yoga, etc. ), but our human need for quieting and calming only becomes more pronounced as our culture gets faster and more connected, and our daily lives grow ever more unsustainably “crazy busy.” While not as glamorous or attention-getting as other styles of yoga, Gentle and Restorative Yoga are amazing antidotes to the quickening pace of life and our often achievement-oriented approach to all things physical (even yoga!). When I started yoga 23 years ago, I was all about the physical; the more challenging and vigorous, the better! I was young and flexible, a dancer and gymnast, so the poses came fairly easily to me. After many years of repeating the same sequences, working to continually “deepen” poses, and pushing my body beyond its limits and into the injury zone, I realized that yoga had become yet another “should” in my life, another way to compete and push myself around. practice were different, and I was unfamiliar with the slower, more propped/modified approach to the poses. But at the end of the practice, rather than feeling amped up, I felt steadier and at ease. Rather than collapsing into savasana, I found the intentional movement and breath led seamlessly into deep rest. I was hooked. My home practice evolved to become mostly Gentle and I began sharing this approach with others in a weekly class. The feedback from students was remarkable – not only was the practice impacting the physical body, students also found calm and balance spilling over into daily life. After experiencing my first complete 2-hour Restorative Yoga practice, I was knocked out (literally, I fell asleep!). Upon waking, I realized two things: 1. I was severely sleep-deprived, and 2. My yoga practice would never be the same. Gentle and Restorative Yoga give you tools to customize your practice based not only on the physical, but also on energetic, mental, and emotional needs. Sometimes perceived to be “easier” or only for people with injuries or limitations, these practices offer depth and introspection that make them serious yoga for practitioners of all levels of experience. Are you curious about Gentle and Restorative Yoga, but don’t know the difference between the two approaches? Sequence is highly customized for individual student needs and/or restrictions, and teacher shows modified versions of typical poses using props or changing the “goal” of the pose. Level of exertion will vary based on students’ needs, but Gentle typically falls somewhere between a Level 1 and Restorative Class. Sequence is highly customized for individual student needs and/or restrictions, and teacher shows modified versions of typical poses using props or by changing the “goal” of the pose. Offers students a balance of gently strengthening and mobilizing poses, dynamic and static poses, linked by conscious breath. May incorporate flowing movements, but is not based around vigorous sun salutations as many modern classes commonly are. A typical Gentle class will incorporate 1 – 3 restorative poses into the sequence. Sequence consists of luxuriously propped and completely supported poses. Occasionally a few mobilizing poses may be incorporated between restorative poses, but the level of movement and exertion is minimal throughout. Less is more when it comes to the number of poses in a restorative practice. Each pose is held anywhere from 5 – 20 minutes. Stretching is not the goal for restorative poses. Instead, the intention is opening and relaxation with the goal of calming and soothing the nervous system. ZZZZs happen! The goal is to remain consciously aware as you relax, but if you fall asleep it’s okay – you likely need it! Kerry Maiorca loves Chair Yoga because it’s an accessible way to bring mindfulness and well-being into everyday life. Kerry specializes in teaching Gentle and Restorative Yoga and is the founder of Bloom Yoga Studio. Looking for tips on how to sneak yoga into your day? Bloom offers Workplace Yoga for clients in their offices, and we’re proud to now offer a weekly Gentle Chair Yoga class on Thursday mornings in our Lincoln Square studio.